STEM (buy) 03.01.12 updated to "strong buy"
We know that GERN already started (in October, 2010) first human trial to treat a patient paralyzed by a spinal-cord injury. StemCells, Inc. (Nasdaq:STEM) announced today the initiation of a Phase I/II clinical trial of its proprietary HuCNS-SC(R) human neural stem cells in chronic spinal cord injury. This trial is now open for enrollment, and will accrue patients with both complete and incomplete degrees of paralysiswho are three to 12 months post-injury. The trial is being conducted in Switzerland at the Balgrist University Hospital, University of Zurich, a world leading medical center for spinal cord injury and rehabilitation, and is being led by Armin Curt, MD, Professor and Chairman, Spinal Cord Injury Center at the University of Zurich, and Medical Director of the Paraplegic Center at the Balgrist University Hospital. The trial is designed to assess both safety and preliminary efficacy. The trial will enroll 12 patients with thoracic (chest-level) spinal cord injury who have a neurological injury level of T2-T11, and will include both complete and incomplete injuries as classified by the American Spinal Injury Association (ASIA) Impairment Scale. The first cohort will be patients classified as ASIA A, or patients who have what is considered to be a "complete" injury, or no movement or feeling below the level of the injury. The second cohort will progress to patients classified as ASIA B, or patients with some degree of feeling below the injury. The third cohort will consist of patients classified as ASIA C, or patients with some degree of movement below the injury. In addition to assessing safety, the trial will measure defined clinical endpoints, such as changes in sensation, motor, and bowel/bladder function. All patients will receive HuCNS-SC cells through direct transplantation into the spinal cord, and will be temporarily immunosuppressed. Following transplantation, the patients will be evaluated regularly over a 12-month period in order to monitor and evaluate the safety and tolerability of the HuCNS-SC cells, the surgery and the immunosuppression, and to measure any recovery of neurological function below the injury site. As the Company intends to follow the effects of this therapy long-term, a separate four-year observational study will be initiated at the conclusion of this trial. So, what is the cardinal difference between GERN and STEM clinical trials? In GERN trial the patients must be treated between seven and 14 days after their injury. To take part in the trial, they must have badly damaged, though not severed, their spinal cords in the region that starts below the neck, the company said. The patients have to make the decision to take part in the trial at a time when they are reeling from the effects of a devastating injury. STEM trial will accrue patients with both complete and incomplete degrees of paralysis who are three to 12 months post-injury. Well, it's a very big difference between 7-14 days and 3-12 months after spinal cord injury. Both trials are open-label trials i.e. both the researchers and participants know which treatment is being administered. There are no control treatments (or placebo) in both trials. The goal of GERN treatment is to restore some sensation and enable patients to participate in physical therapy that could restore a degree of mobility. With the first patients, the goal is even more modest -- to be certain the therapy doesn’t make things worse or cause unwanted side effects. STEM: the design of the trial will afford a very real near-term opportunity to observe possible benefits to the patient, which may includeimproved sensation, motor function, bowel or bladder function. Then there is a question: Who will be the winner GERN or STEM? If both approaches show some improvement it means that STEM is a winner (a priory there are much more the potential patients because this 3-12 months post-injury). Today StemCells (STEM) shares gained 5% to 85 cents in late afternoon trading and finished $0.84 (or +3.84%). It seems like a bargain price when GERN pps today $4.83. Disclosure: I don't have STEM positions now. May open it at any time when I'll see that whole market starts a recovery (I have only short positions now). After careful reading the recent STEM publication I think that this company has very high probability to succeed in human chronic spinal cord injury clinical trial. STEM pps is very attractable now. "In January 2011, STEM sold 10,000,000 shares of our common stock to selected institutional investors at a price of $1.00 per share. They received net proceeds, after deducting offering expenses and fees, of approximately $9,400,000. The investors were also granted an option to purchase an additional 6,000,000 shares at $1.00 per share. The option was not exercised and expired on February 18, 2011. The shares were offered under our effective shelf registration statement filed with the SEC on June 25, 2008. In October 2010, STEM was awarded cash grants totaling $977,917 for projects related to our CNS and Liver programs. These grants were certified under the federal government's Qualifying Therapeutic Discovery Project (QTDP) program, which was created as part of the Patient Protection and Affordable Care Act of 2010." So STEM has money for R&D and spinal cord injury trial will take around 12-month period. Any improvements in patients similar to published in PLoS will be major breakthrough in stem cells therapy. The current market is in fluctuating equilibrium now. However I think that the Middle East situation already start to normalize. Japan catastrophe was terrible but Japanese people are strong and they will start to re-build the economics immediately. I hope that biotech sector will start to grow even faster. STEM will be the first company that I will buy when I'll return to active investment. "NEWARK, Calif., Sept. 22, 2011 (GLOBE NEWSWIRE) -- StemCells, Inc. (Nasdaq:STEM - News) announced today that the first patient in the Company's breakthrough Phase I/II clinical trial in chronic spinal cord injury was successfully transplanted with the Company's proprietary HuCNS-SC(R) adult neural stem cells. The stem cells were administered yesterday at Balgrist University Hospital, University of Zurich, a world leading medical center for spinal cord injury and rehabilitation. The transplant surgery was performed by a team of surgeons led by Dr. Raphael Guzman, a visiting staff neurosurgeon also on faculty at Department of Neurosurgery, Stanford University, and Dr. K. Min, an orthopedic surgeon at Balgrist University Hospital. NEWARK, Calif., Sept. 28, 2011 (GLOBE NEWSWIRE) -- StemCells, Inc. (Nasdaq:STEM - News) announced today that three of its senior executives and a key academic research collaborator are scheduled to present at the 2011 World Stem Cell Summit scheduled for October 3-5, 2011 at the Pasadena Convention Center, Pasadena, California. The World Stem Cell Summit is the global stem cell and regenerative medicine community's leading event, and allows scientists, patients, advocates, business people, investors, educators, ethicists, policy makers, and government representatives from around the world to meet, share knowledge and collaborate with others in the field. Ann Tsukamoto, Ph.D., Executive Vice President, Research & Development of StemCells, Inc., will be a featured speaker during a plenary discussion on "How Stem Cells Are Transforming Medicine -- ISSCR Perspectives," which is scheduled for 9:00 am PT on Monday, October 3. Aileen Anderson, Ph.D., a professor at the University of California, Irvine, will speak during a session on "Stem Cell Translational Report -- Spinal Cord Injury, Paralysis and MS," which is scheduled to begin at 2:30 pm PT on Tuesday, October 4. Dr. Anderson has collaborated with the Company to publish numerous preclinical studies to demonstrate the therapeutic potential of the Company's human neural stem cells for the treatment of spinal cord injury. Stephen Huhn, MD, FACS, FAAP, Vice President and Head of the CNS Program at StemCells, Inc. will be a featured speaker during a session on "Promising Science from Industry Labs." This session is scheduled to begin at 1:00 pm PT on Wednesday, October 5. Martin McGlynn, President and CEO of StemCells, Inc., will discuss the Company's clinical development program during a session on "Key Clinical Trial Updates," which is scheduled to begin at 2:00 pm PT on Wednesday, October 5. The Company is currently conducting two clinical trials of its HuCNS-SC(R) cells, one in chronic spinal cord injury and one in a myelination disorder in the brain. The multiple presentations by the Company's executives and collaborator highlight the groundbreaking scientific achievements and progress in advancing novel discoveries to potential breakthrough therapeutic applications. StemCells, Inc. is pleased to be an integral part of this important and rapidly growing event and to have the opportunity to interact with researchers, clinicians, and patients with an interest in novel stem cell-based approaches to intractable neurodegenerative diseases. Question is: to buy or not to buy STEM? NEWARK, Calif., Dec. 16, 2011 (GLOBE NEWSWIRE) -- StemCells, Inc. (Nasdaq:STEM - News) today announced the pricing of an underwritten public offering of an aggregate of 8,000,000 units and 8,000,000 Series B Warrants, each to purchase one unit, at a public offering price of $1.25 per unit for gross proceeds of $10 million, before deducting underwriting discounts and commissions and other estimated offering expenses. Each Unit consists of (i) one share of the common stock, par value $.01 per share, of the Company's common stock and (ii) one Series A Warrant to purchase one share of common stock. The Series A Warrants are immediately exercisable at an initial exercise price of $1.40 per share and expire on the fifth anniversary of the date of issuance. The Series B Warrants are exercisable immediately at an exercise price of $1.25 per Unit. The Series B Warrants will expire at the close of business on the ninetieth (90th) trading day after the date of issuance. If all Series B Warrants are exercised, the Company would receive additional gross proceeds of $10 million. And don't forget that STEM is sole biotech in stem cell busyness: it has a clinical trial for chronic spinal cord injury and the neural stem cells, extracted from fetal brain tissue, had been successfully transplanted in three patients classified as having the most chronic spinal cord injury. 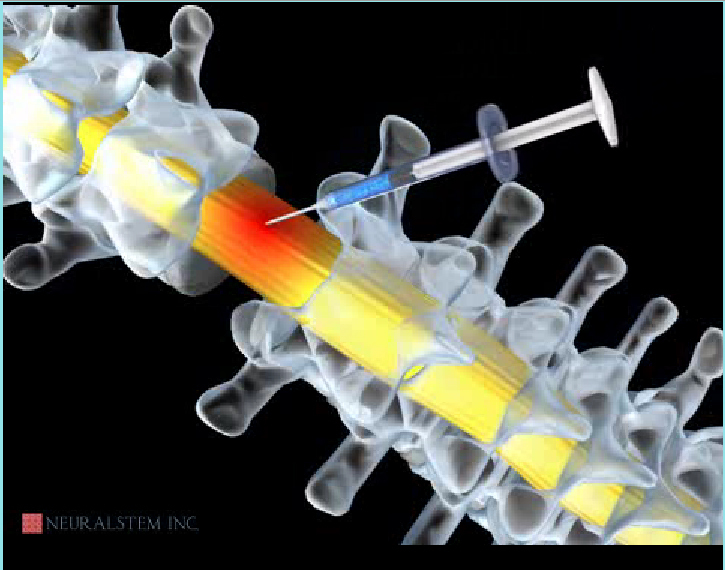 NEWARK, Calif., Dec. 15, 2011 (GLOBE NEWSWIRE) -- StemCells, Inc. (Nasdaq:STEM - News) announced today that the first cohort of the Company's Phase I/II clinical trial in chronic spinal cord injury have been successfully transplanted with the Company's proprietary HuCNS-SC(R) neural stem cells. This landmark clinical trial has a unique design, in which patients with progressively decreasing severity of injury will be treated in three sequential cohorts. The first cohort of patients all have spinal cord injury classified as AIS A, the most severe level identified by the American Spinal Injury Association Impairment Scale (AIS). Question is: buy STEM now or wait for lower entry? Cash, cash equivalents and marketable securities at September 30, 2011 totaled $12,534,000, compared with $19,899,000 at December 31, 2010. For the nine-month period ended September 30, 2011, net cash used in operating activities was $16,846,000, which was 14% lower than the same period in 2010. So, STEM has now almost $30M in cash. For the third quarter of 2011, the Company reported a net loss of $4,334,000, or $(0.31) per share, compared with a net loss of $5,552,000, or $(0.44) per share, for the third quarter of 2010. Loss from operations in the third quarter of 2011 was $6,163,000, which was 12% lower when compared to the $7,001,000 loss from operations in the third quarter of 2010. And they burn at least $4-5M per quater i.e. they have money for 2-3 years. If even one patient has any recovery in one year following transplantation STEM pps will jump to the Moon. Most recently, StemCells scientists and UCI researchers achieved a significant breakthrough by demonstrating for the first time that human neural stem cell transplantation can restore lost motor function even when administered at time points beyond the acute phase of trauma. When transplanted into mice with chronic spinal cord injury, our human neural stem cells were shown to promote a significant and persistent recovery in walking ability in two separate tests of motor function when compared to control groups. These data suggest the prospect of expanding the window of opportunity for intervention, and therefore the potential to treat a much broader population of injured patients. When transplanted into the spinal cord of mice with lower spinal cord injury (thoracic cord trauma that results in hind limb paralysis), our human neural stem cells have been shown to form new myelin sheaths around damaged nerve axons and restore long-term the lost motor function. Disclosure: I don't have STEM positions now. Will monitor STEM for low entry pps. P.S. I have STEM positions now and will keep them through 2012. Stem cells (iPS cells) are the future of modern medicine. Neural differentiation: iPSCs were differentiated into neurons, expressing βIII-tubulin, tyrosine hydroxylase, AADC, DAT, ChAT, LMX1B, and MAP2. The presence of catecholamine-associated enzymes may indicate that iPSCs, like hESCs, may be differentiable into dopaminergic neurons (PD cure). Stem cell-associated genes were downregulated after differentiation. Cardiac differentiation: iPSCs were differentiated into cardiomyocytes that spontaneously began beating (see video). Cardiomyocytes expressed TnTc, MEF2C, MYL2A, MYHCβ, and NKX2.5. Stem cell-associated genes were downregulated after differentiation. It's really coming. I mean the stem cell therapy era. British doctors have successfully treated children with a rare immune disorder for the first time by giving them an injection of their own stem cells. Doctors at Great Ormond Street Hospital have treated five children whose immune systems cannot recognise and fight off infections leaving them vulnerable to serious illnesses. The condition, known as x-CGD, is caused by faulty genes. Doctors were able to take a sample of the children's stem cells, manipulate them in the laboratory and reintroduce them. The children were given a working copy of the faulty gene and their condition improved, enabling them to temporarily fight off infections. The treatment offers vital hope to the children who could be treated again if they faced a serious infection. It is the third immune disorder that doctors at Great Ormond Street Hospital have successfully tackled. The others were the life-threatening conditions, X-SCID and ada-SCID, and 14 out of 16 children treated have improved with some showing signs that their immune system has been permanently restored. Remy Helbawi, 16, from South London, was the first children with x-CGD to be treated. The condition only affects boys and means that while his body produces the white blood cells to fight viruses it does not have the correct cells to fight off bacterial or fungal infections. The resulting infections can be life-threatening. Up until now the only treatment has been a bone marrow transplant which would offer a permanent cure. Remy's brother who also had the disease was found a bone marrow match and was successfully treated that way but no match has been found for Remy and a serious lung infection was threatening his life. Remy said: "Until I was ten I had the same life as anyone else, except I had eczema a lot of the time.
" I didn’t have a fungal infection until about ten, but when I got my first fungal infection my life changed. I missed a lot of school, I had lots of tests and was in hospital. I would get exhausted after climbing stairs." Before undergoing the gene therapy, Remy had to have chemotherapy which made his hair fall out and he was kept in isolation for a month. He added: "I was at home for a few weeks and then could return to school. To start with, the stairs was difficult and my legs ached through lack of exercise but in a few days started to feel better. “I never doubted in my mind it was going to work. "Bone marrow transplant is a cure and at the moment the gene therapy has an effect, I feel better, but we don’t yet think it is a cure." Remy's nurse, Helen Braggins, said: "Remy had been unwell for last two years and began to miss school. He had significant fungal lung disease in January of last year, which was getting worse. 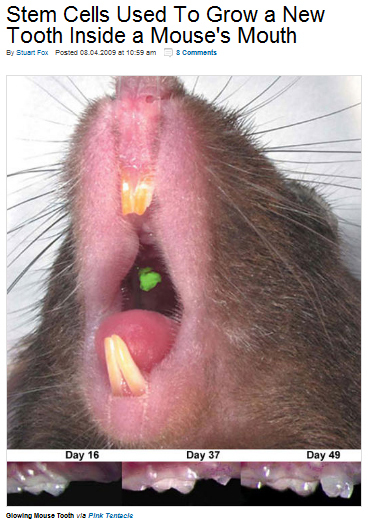 "Without some radical treatment intervention Remy would not have survived and was becoming increasingly short of breath. "Remy desperately needed a bone marrow donor and even with the assistance of Anthony Nolan undertaking a campaign so far we have not found one. Therefore gene therapy was undertaken which has improved Remy’s health immensely." Great Ormond Street Hospital Children's Charity is launching an appeal to raise £66m to build and equip a new centre for research into rare diseases like these. It is hoped the centre will investigate treatments for rare cancers as well as conditions such as cystic fibrosis and muscular dystrophy. Around 3.5m people in Britain are affected by diseases thought of as rare. Health Minister, Lord Howe said: “The UK already has a strong record of supporting and treating people with rare diseases but we know we can improve on this. "I fully support Great Ormond Street Hospital Children’s Charity fundraising campaign to help build a Centre for Children’s Rare Diseases Research. A new centre of this kind will help unlock our understanding of rare diseases and will ultimately save lives."